Neckwear designer Puccini has added an array of new tartans to their checkered tie collection. 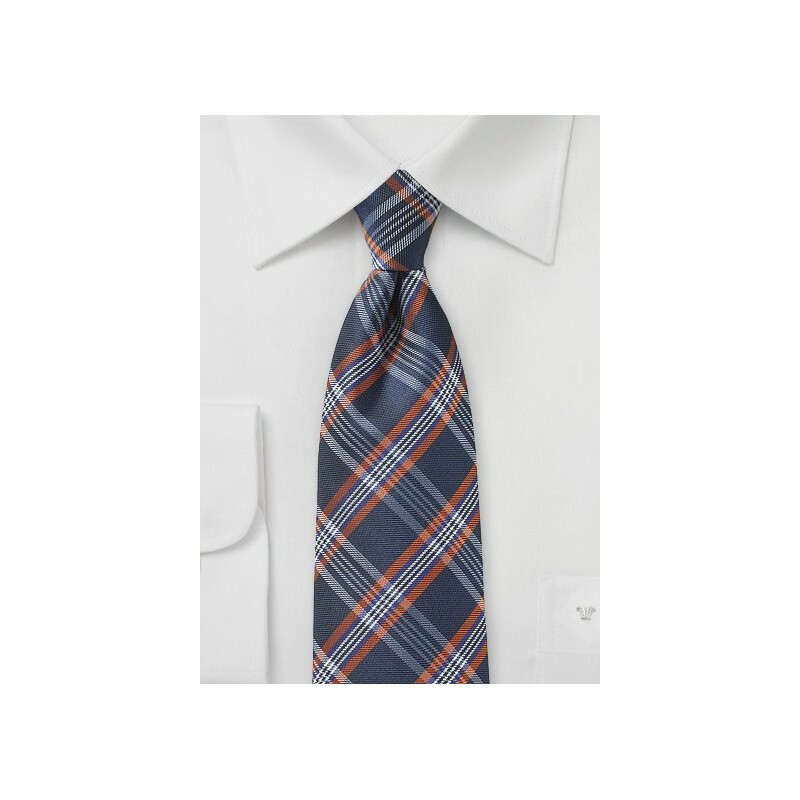 This dark navy, orange, and silver tartan plaid combines a traditional Scottish heritage with a modern color palette. 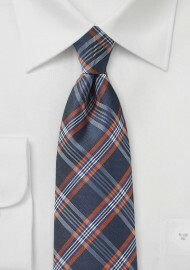 A fantastic tie for any striped, solid, or micro check shirt. Made from woven microfiber. Necktie Length: 58", Width: 3.1"